NYCC 2018: Bendis and Walker's new Wonder Comics hero will uncover a secret that impacts the entire DC Universe – AiPT! Bendis revealed his new hero during his spotlight panel at New York Comic Con. Bendis revealed that several new and returning characters would be coming to Wonder Comics. Superboy (Connor Kent), Impulse (Bart Allen), and Robin (Tim Drake) will be returning as the core of a brand new revamped Young Justice team. The Wonder Twins and Dial H for Hero will also be getting their own books. 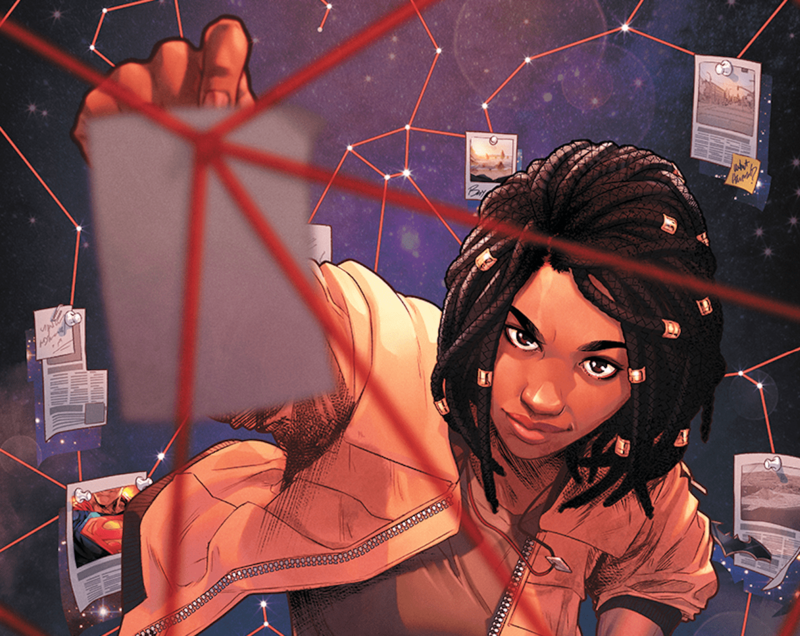 Perhaps most notably though was the announcement of Naomi, a brand-new character created by Bendis and David Walker (Cyborg), with art by Jamal Campbell (Justice League of America: Vixen). Yesterday during the Bendis spotlight panel, the eponymous guest went further into Naomi’s origin and what fans should expect from her. “It’s big. You’ll find out in six months,” Bendis added with a laugh, after the audience pressed him for details on what Naomi discovers. “As you all know Brian was very sick not that long ago and I visited him in the hospital. We’re together and I’m sitting at his bed and he’s doped up and Brian’s saying ‘Man we’re going to do a book together’ and I’m all ‘Sure man, whatever,’ just trying to keep my sick best friend happy. Three months later he calls me up and says ‘The book got green lit!’ and I’m all ‘What book?! '” shared Walker. “Naomi is about character development and stories I experienced growing up as a person of color in a predominantly white town. I was very poor growing up, and the white people in my town were very wealthy. My family literally cleaned the houses of the wealthy. I didn’t think my doped-up friend was writing this all down.” said Walker.